​Please allow 48 hours for verification. What will happen on my initial visit? During your initial visit, we will discuss your medical history and specific health concerns followed by an acupuncture treatment. You will be advised about your treatment strategy and the recommended frequency of future treatments based upon your assessment. In order to better understand your health concerns, please complete all New Patient Forms, which will be accessible via email when you make your initial appointment. Additionally, if you have recent blood work or scans please bring them in. Wear loose fitting clothing so that shirt sleeves and pant legs can be comfortably rolled-up to your elbows and knees. Avoid being too full or conversely too hungry before the treatment. Avoid over-exercise, caffeine or alcohol shortly before or after the treatment. Plan your day so that after the treatment you can get some rest, or at least not have to be working at top performance. Remember to keep good mental or written notes as to your response to the treatment. This is important information for you to recognize progress and for you to communicate to the practitioner for optimum treatment strategy. Allow 1-1.5 hours for your initial visit. During this initial visit, an assessment of your past and present health history will be analyzed, along with your lifestyle, nutrition, medications, and mental and physical health. A custom diagnosis will be developed followed by a treatment. All follow up visits will last 50 minutes. It is difficult to predict how quickly your body will respond to acupuncture. Each patient is unique and may differ in their response. 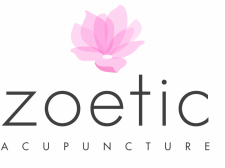 Acupuncture has a cumulative effect and weekly treatments in the beginning is advised. Acute condition may take just a few treatments while chronic conditions may take months to treat. Relief phase – During this phase, treatments are scheduled weekly (or 2-3 times per week in severe cases). The goal during this phase is to relieve symptoms and to start the process of addressing the underlying cause of pain or health problems. Restorative phase – During this phase, treatments are usually scheduled every two weeks. The goal during this phase is to maintain symptomatic relief while focusing on resolving underlying disharmonies and preventing future problems. Wellness phase – During this phase, treatments are scheduled once a month or four times per year (usually at the change of seasons). The goal during this phase of care is to maintain the progress we have made and to support your vitality and overall wellbeing. After the completion of your first visit, the recommended length of treatment will be discussed with you. How will I feel after acupuncture? Patients generally feel relaxed with an overall improved sense of well-being. You may feel tired or drowsy for a few hours if the experience is particularly strong. You may also experience a short-term flair-up of symptoms in the healing process. After a treatment, please try to avoid big meals, vigorous exercise, alcohol and stressful situations. A gentle walk or very mild exercise can also be helpful. Acupuncture is a safe and effective treatment with very few adverse effects and complications from its use when performed by a licensed and trained professional. The needles used are single-use disposable needles approved by the FDA. Under California law, licensed Acupuncturists are considered primary care practitioners.